"Jesus Christ, Drake. Do you create anything bad?" ICYMI Drake's latest album Scorpion, which was dropped a little over a month ago, is absolutely killing the game. It's been crazy popular, and today the music video for one of the album's songs, "In My Feelings", was released. Besides featuring Drizzy, of course, the video stars La La Anthony as the famous Kiki, Phylicia Rashad as Kiki's protective mother, and Shiggy, who you might remember from the #InMyFeelingsChallenge, as a personal assistant. It also playfully references the viral challenge with a roundup of some of the best attempts in a credit sequence. If you've got a keen eye, you'll be able to spot the cast of Queer Eye, Will Smith, BTS' J-Hope, Dua Lipa, Liza Koshy, and a bunch of other fan and celeb videos. 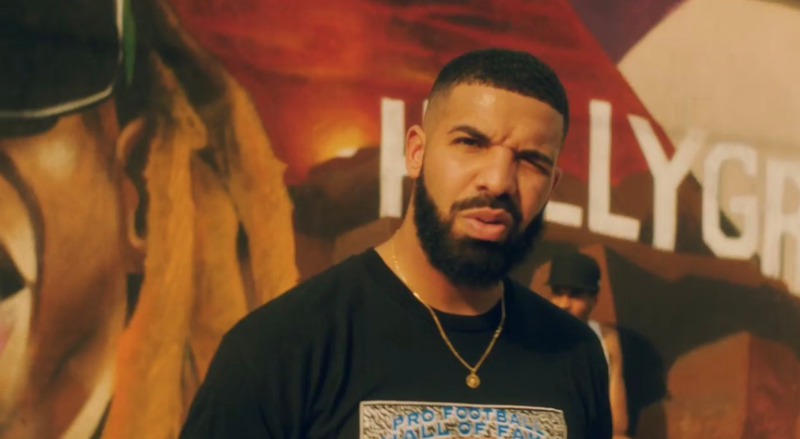 Understandably, Drake's fans had a lot of, well, feelings, in response to the video being dropped. Jesus Christ Drake. Do you create anything bad? That #InMyFeelings video bridged the gap between a superstar &amp; his fan base. the In My Feelings video is so good. damn that drake. Even Stranger Things had something to say about it. Well done Drizzy, and cheers to making another banger of a song!